Get off to a good start this Chinese New Year by ushering in luck and prosperity. For auspicious delicacies, look no further than the premium selection of abalones and clams from Golden Chef. Savour the succulence and sweetness of the new Chilean Baby Abalone and other enticing oceanic treasures - must-haves for the all-important family reunion. 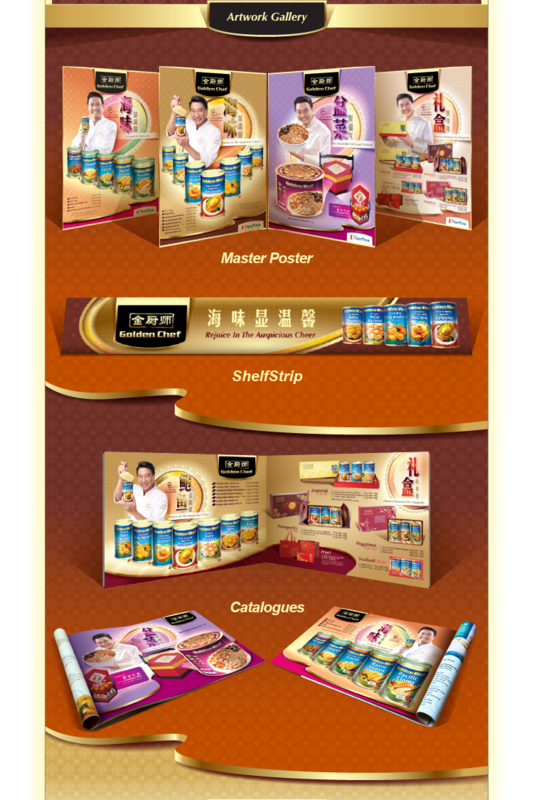 Visit FairPrice for these exclusive Golden Chef Abalone and Seafood products, and let all good things come your way! Click here to view other portfolio by adwow! Click here to view more related portfolio.